Quang Ninh (VNA) – The 15-year implementation of the Vietnam-China agreement on fishery cooperation on the Tonkin Gulf was the focus of a scientific seminar held in the northern coastal province of Quang Ninh on March 31. Vice Chairman of Quang Ninh People’s Committee Dang Huy Hau highlighted positive outcomes of the agreement’s enforcement, including remarkable improvements in local authorities and fishermen’s awareness about the agreement, the national sovereignty at sea, regulations of the two countries, and the need to protect and develop marine resources in the Tonkin Gulf. He noted that fishing activities by local fishermen in the contiguous area have been conducted normally under the supervision of patrol forces of both countries. He informed the seminar that Quang Ninh has incorporated the implementation of the agreement into local resolutions, plans and projects on fishery development. According to the official, 513 ships of Quang Ninh have been granted permits to exploit seafood in the shared fishing waters in the Tonkin Gulf. He affirmed that all the ships abided by stipulations of the Vietnam-China agreement on fishery cooperation on the Tonkin Gulf. Every year, Quang Ninh has instructed relevant agencies to organise patrols and inspections in the shared fishing waters, the waters in transitional arrangement and the buffer zone for small fishing boats, in order to curb and prevent exploitation activities that can negatively affect marine resources and to enhance law abiding awareness among fishermen. At the same time, the province has regularly released fish fry into the sea, contributing to recovering the marine resources. 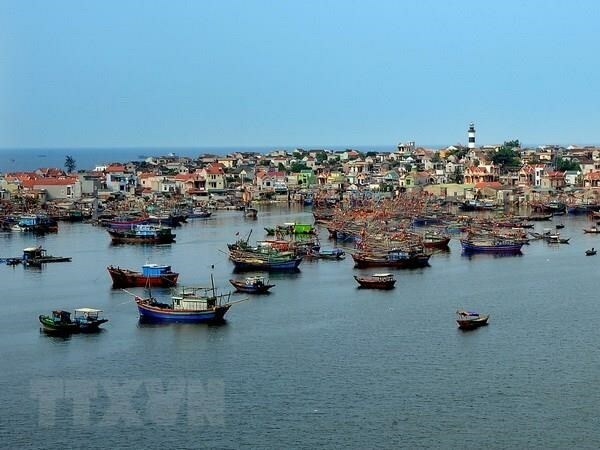 A report of the Vietnam-China Joint Fishery Committee said the implementation of the Vietnam-China agreement on fishery cooperation on the Tonkin Gulf over the past 15 years has contributed to stabilising the order and security in the gulf. According to Nguyen Quang Hung, deputy director general of the Directorate of Fisheries, the two sides have agreed on methods to survey and calculate marine reserves along with a draft of the joint report on the phases of the work.